This is the most comprehensive review of the idiotypic network available. All the current knowledge of idiotypes of the various antibodies is incorporated in this volume. The pathogenic role of idiotypes in autoimmunity and cancer is reviewed in depth. 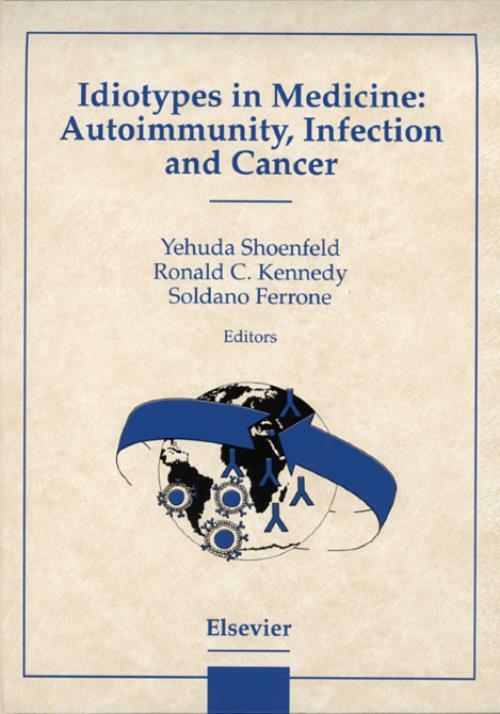 The therapeutic part focusses on harnessing anti-idiotypes for treating autoimmunological disorders, and on the employment of idiotypes for vaccines in cancer and infectious diseases, as well as explaining the manipulation of the idiotypic network in autoimmunity and cancer idiotypes and vaccines. 1. Idiotypes on HIV Specific Antibodies as Disease Markers in AIDS and their Potential as Immunotherapeutic Agents. Prof. Shoenfeld received the EULAR prize in 2005, in Vienna, Austria: "The infectious etiology of anti-phospholipid syndrome". He has received a gold medal from the Slovak Society of Physicians for his contribution to Israel - Slovakia collaboration (March 2006), and is honorary member of the Hungarian Association of Rheumatology. In UC Davis, USA, Dr. Shoenfeld received the Nelson's Prize for Humanity and Science for 2008. In 2009 he was honored as Doctoris Honoris Causa, from Debrecen University (Hungary), and from 2009 he is honorary member of the Slovenian National Academy of Sciences. He has recently been awarded a Life Contribution Prize in Internal Medicine in Israel, 2012 as well as the ACR Master Award in 2013.